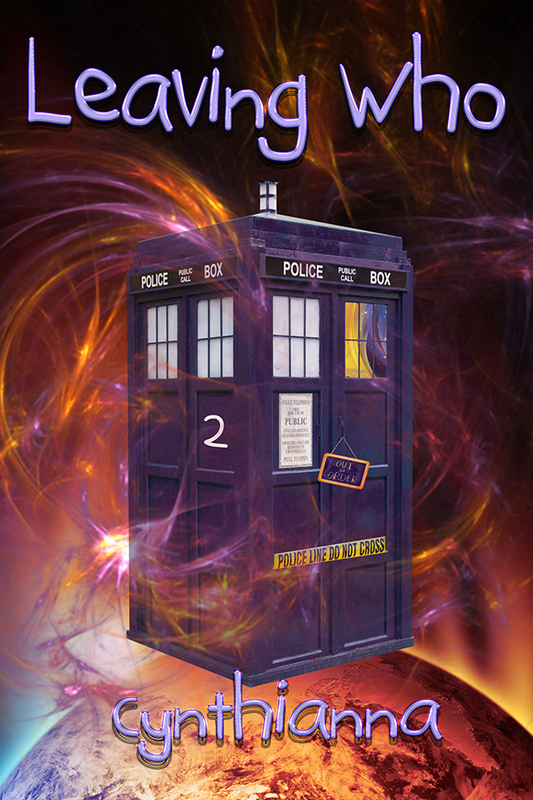 It's been a busy two weeks, so when I finally sat down to catch up with Doctor Who, I had two episodes to watch. The first episode, The Lie of the Land, is actually part three of the two previous episodes which I found to be mediocre as best. Was I expecting anything better for this storyline's finale? No, not really. The Lie of the Land didn't disappoint on that respect. It was mediocre in script and well-done in acting and execution. 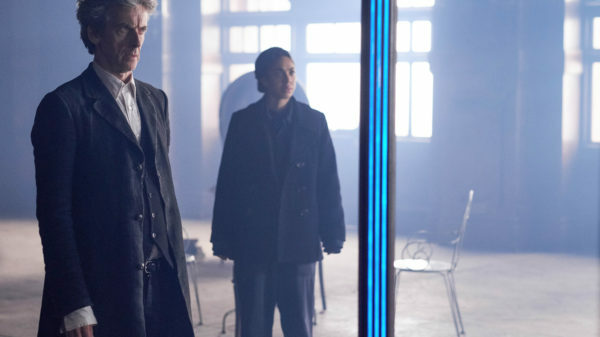 Bill is still a strong, sympathetic character willing to lay down her life to save others, Nardole is still a loyal aide-de-camp willing to go the extra mile to help out, and the Doctor is... Well, he's a show man of sorts, selling the evil monks' "new history" to the unsuspecting public through slick commercials. Why the evil monks ever go to the extent they do to take over the world is never satisfactorily explained, including the gigantic statues of their mummy-like visages. They should have taken a lesson from the Daleks and Cybermen. 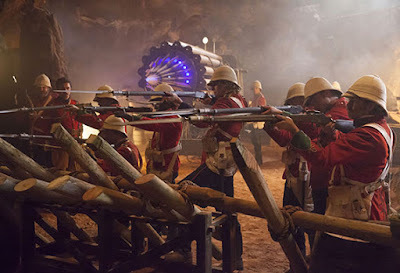 Good ol' fashioned firepower and metal suits work just fine to invade Earth in Doctor Who. 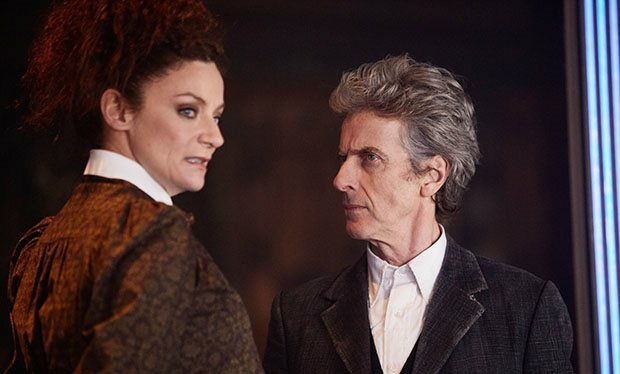 Missy is seen once again in The Lie, but her cameo doesn't seem particularly necessary to the plot, as the Doctor should be able to figure things out himself with his abilities and resources. 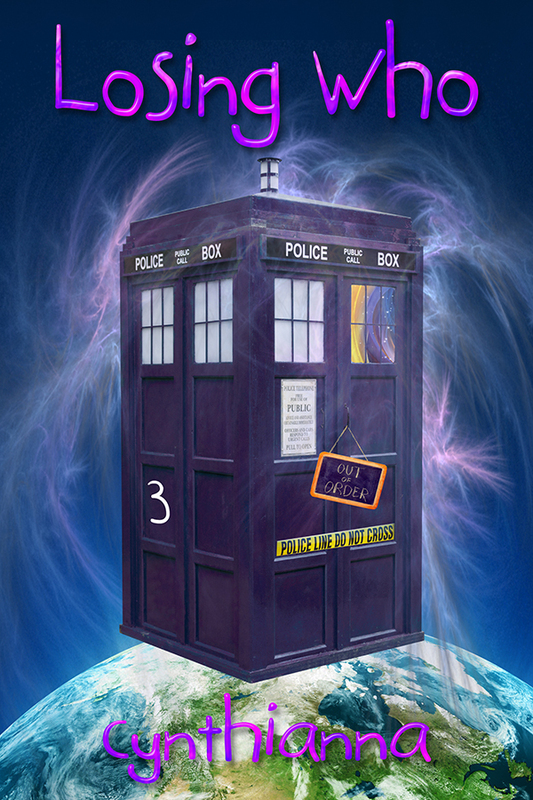 She's incarcerated in a TARDIS-styled vault and seems content to be locked up. There's hints she's not as sociopathic/psychopathic as she once was, but she's still not portrayed as a positive middle-aged female image, but rather as a figure of ridicule/hate. Actress Michelle Gomez could do better and deserves a stronger role. The Orwellian overtones of "He who owns the past owns the future" are good in The Lie, but the overall arc of the trilogy of episodes isn't quite pulled off. A good script editor could have helped cobble these three disparate episodes together in a more coherent and effective manner and brought out the strengths in each. As is... nice try, but it's very sad how this trilogy falls flat. At least Bill has a decent hairstyle this time out, and I enjoyed the "Maoist China" style of bland/uni-colored clothing of the populace as well as the Doctor's "worn" jacket. Why there is oxygen underground on Mars is never explained, especially since the surface is dead and there's no obvious plant life left. The frozen/hibernating Ice Warriors are very similar to the Patrick Troughton series Cybermen who were hibernating on Mondas in a pyramid-like set-up. 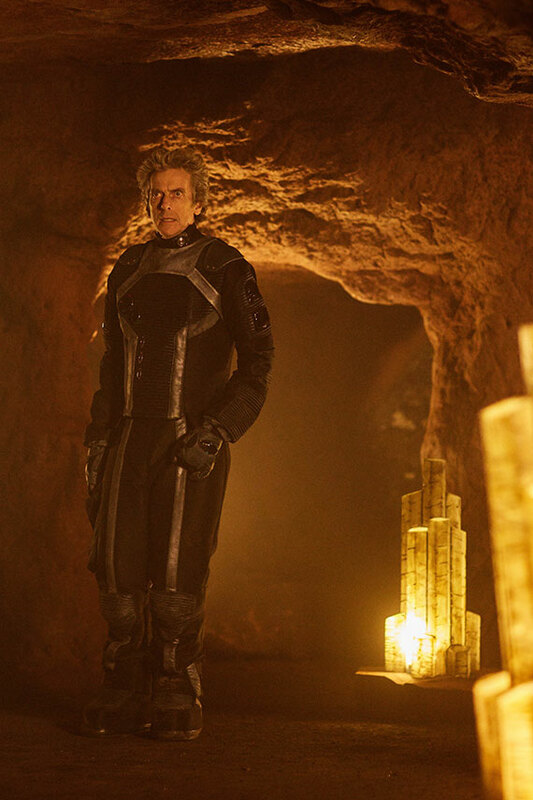 Hmm... Pyramids and spacesuits seem to be returning images in this season, as the Doctor and Bill have been seen in spacesuits in Empress of Mars, Oxygen and in underwater diving suits in Thin Ice. The evil monks have a spacecraft (I assume that's what it is since it "flies") that's pyramid-shaped in Nemesis, The Pyramid at the End of the World, and The Lie of the Land. Is there some kind of connection we're suppose to make with the reoccurring imagery? I have to say, Peter looks great in a form-hugging spacesuit. I hope the hoodie look has been put to rest for good. With only a few more episodes to go in Peter Capaldi's last year as the Doctor, fingers crossed we get another Mark Gatiss-written story. What's your take on these last episodes? Please write your comments below. Thanks. Coming Soon... The Loving Who series from Devine Destinies Books! I wasn't that impressed by The Lie of the Land. It came across as mediocre to be honest. 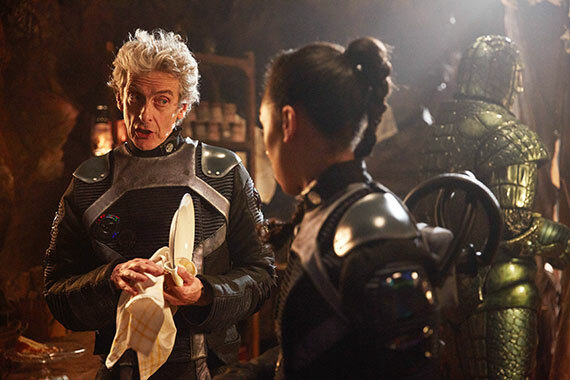 Empress of Mars was much more fun, and was written by that aficionado of all things Victorian Mark Gatiss, which in my book is a sign of quality writing. It was great to see a return of the old favorites, the Ice Warriors and Alpha Centauri (they even brought back the original actress to provide the voice). The scenario of British soldiers on Mars is straight out of the Space: 1889 storyline. I'd love to see some more Space 1889 type of stories for the Doctor and his companions, wouldn't you? Anything with a steampunk bent would be great as well. I enjoyed the Regency era episode Thin Ice, and loved the Doctor in a top hat. So distinguished!